Ketchikan: Alaska’s “first city” is also widely known as the rainiest, with 153 inches per year. (For comparison, Seattle, well-known for it’s rain, only gets about 38 inches!) High temperatures during June, July, and August are typically in the mid-60’s. The ‘shoulder’ season of May and September is generally about 5-10 degrees colder. Sitka: Still in the heart of the Tongass Rainforest, but slightly less rainy, Sitka gets 131 inches of rain per year. High temperatures average in the high 50’s to low 60’s from June to September, and low 50’s in May. Juneau: The capital of Alaska sees average highs in the upper 50’s and low 60’s in May through August, with September highs averaging in the low 50’s. It’s much less rainy than the previous two at 62 inches, but it’s still pretty common. 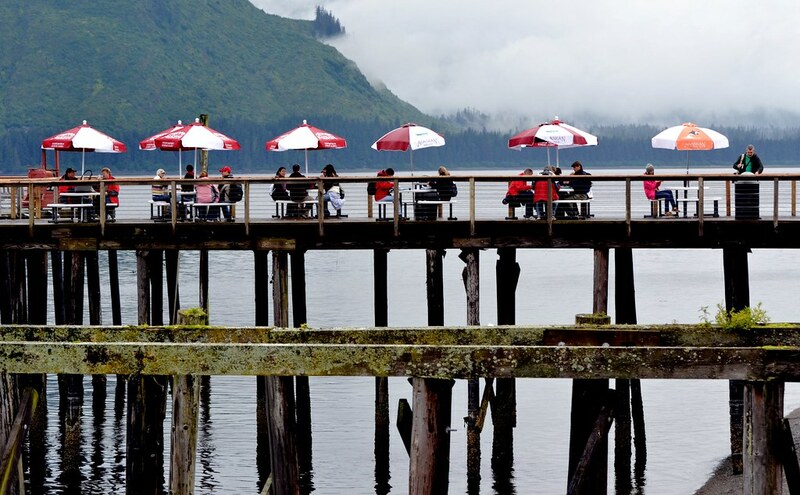 Icy Strait Point: This port near Hoonah has average highs in the upper 50’s and low 60’s in May through September. Same as Juneau, the rain averages 62 inches. If you’re taking a shore excursion from here, be sure to check specific packing recommendations. 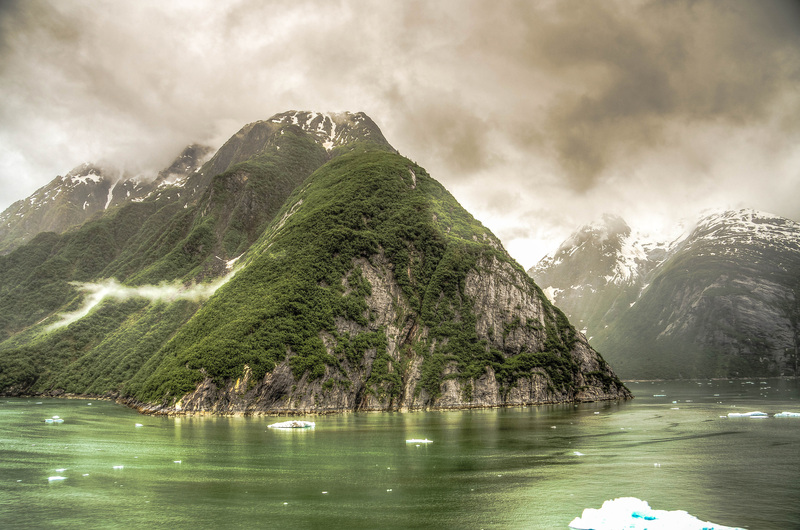 Seward: We move northwest from the Tongass National Forest, and into Chugach, which is also a temperate rainforest. The highs average in the upper 50’s to mid 60’s June-September, though warmer days aren’t uncommon. May’s highs are in the lower 50’s. The average rainfall is 71 inches, with 10 of that in September alone. 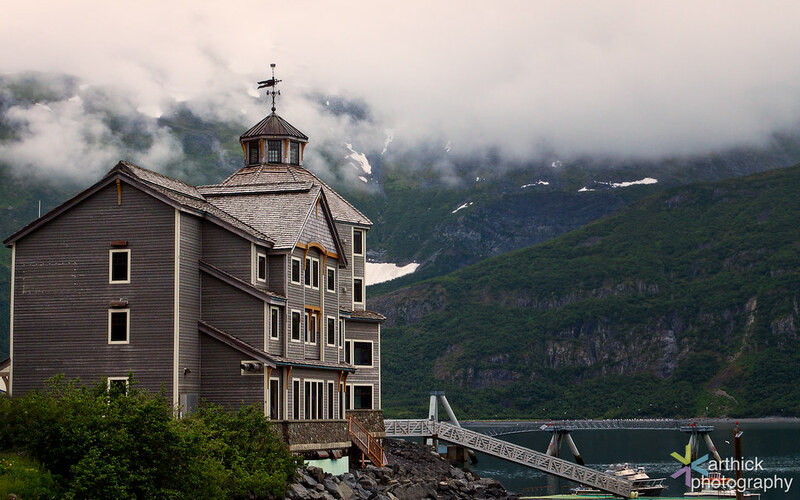 Whittier: The actual rainiest city in Alaska is Whittier, at a whopping 185 inches per year! May and September high temperatures average in the low 50’s, with June through August seeing average highs in the upper 50’s to lower 60’s. Anchorage: The skies dry up as we get to Alaska’s most populated city, with an average rainfall of just 17 inches. Temperatures stay comparable with average highs in the upper 50’s and lower 60’s May through September.